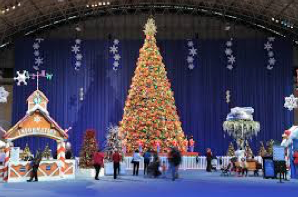 Spend your winter walkin’ in a Winter WonderFest! 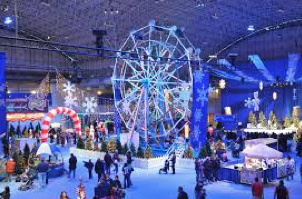 The indoor festival at Navy Pier gives you and your family so many incredibly fun winter activities to participate in without having to put up with being outside in Chicago’s brutal weather! 24 rides and other attractions are available for your enjoyment, along with entertainment & photo opportunities! From climbing up ice walls to skating on ice rinks, there is sure to be something fun for everyone! Challenge your friends on a race through the frozen tundra through the Polar Extreme. Hop on the inflatable Arctic Plunge that will have you sliding around and down like a penguin. Channel your inner hockey star on the Chicago Blackhawks Ice Skating Rink! Hold on tight and soar through the air, 40-feet high, on the Cliff Hanger. If you’re looking for something for the whole family, hop on the 50-feet tall Ferris wheel that is always a classic! No matter which of the fun activities you choose to participate in, there will be plenty of thrills and chills for everyone from December 5th to January 10th!